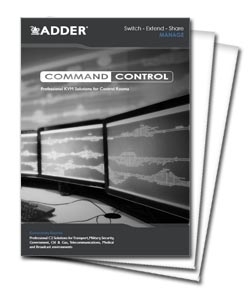 The Adder CCS-XB8 is a LED Light Module designed to indicate the active screen focus when used alongside Free-Flow. Each CCS-XB8 ships with 8 LED indicators. Additional indicators can be ordered (to a maximum of 10 per unit) using order code: CCS-LED. The CCS-XB8 illumination module connects to the CCS-PRO8, or CCS-PRO4. It gives the users the option to have an LED indicator positioned on each screen to identify which screen you are currently controlling. The color and intensity can be controlled for each screen. A maximum of 10 illumination indicators can be supported. This module controls a set of LED lights which mount onto your screens. The LED's are fully configurable allowing the user to assign a specified color and intensity via the setup application. These units provide loop through support for additional accessories such as the RC4 or RC8 remote control modules for greater flexibility. Each LED module is pre-wired with 10 feet (3 meters) of cable allowing the user to route the module discreetly to the screen. The flexible cable used is of oval profile making it easier to tuck into channeling, wall gaps or any similar room features. Each LED is housed in a sturdy molded enclosure and is provided with an adhesive pad allowing the module to be fixed onto a screen bezel or other surface as required. 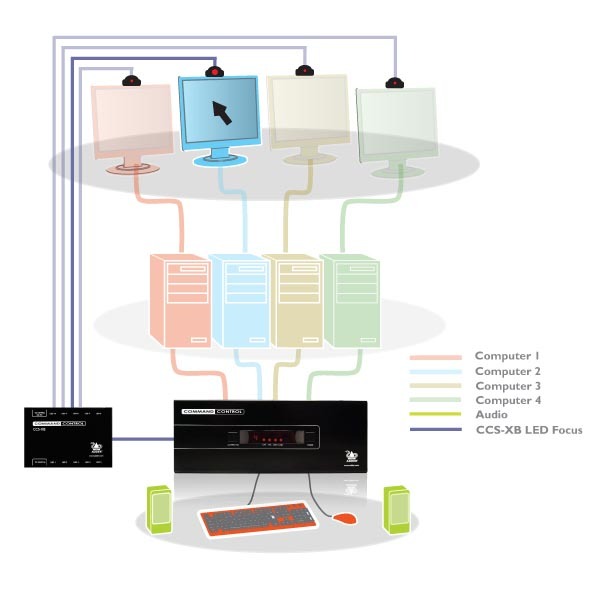 The CCS-XB8 is interface powered making installation very simple.